In case of an emergency, you need to be able to get help. This survival tool offers all you can get without a cell phone. 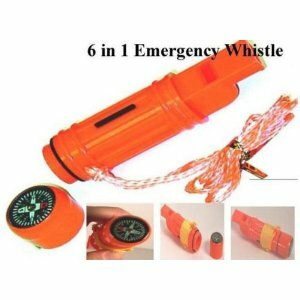 It includes a mirror, a whistle, signal mirror, lanyard, and a waterproof storage compartment for matches, so that you can stay warm in an emergency. Keep it in your car, backpack, or purse, because it is better to be safe than sorry.